The greenhouse effect is increasing the temperature of the earth and poses a global environmental threat. To reduce emissions of carbon dioxide and other greenhouse gases, many countries have ratified the Kyoto Protocol, an international treaty on climate change, and have committed to achieving specific emission reduction targets. To fulfill this commitment, the Ministry of Economic Affairs of the Netherlands is encouraging initiatives that will reduce COx emissions approximately 6% by the year 2010. One such initiative came from ENECO Energie, an energy supplier that has its headquarters in The Netherlands. Ten years ago, ENECO Energie built a network of pipelines that distributes heat and CO2 from one of its power plants to greenhouses. Over time, the custody transfer system linking the greenhouses to a central control room in Rotterdam became outmoded and was no longer adequate: communications via leased telephone lines and a fiber optic link were often disrupted and replacement parts were no longer available. 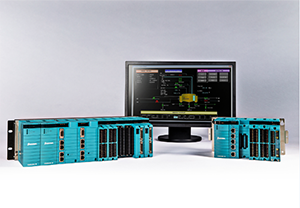 This company has now turned to Yokogawa and its STARDOM and FAST/TOOLS solutions to update and improve the efficiency of the network's custody transfer system. ENECO Energie is one of the three major energy companies in the Netherlands. The company provides an integrated range of services based on the transportation and supply of electricity, gas and heat, and associated services such as metering, installation, and invoicing. In all, ENECO Energie services some two million business and household customers. The ROCA power station in Capelle a/d IJssel, The Netherlands, burns gas to generate electricity. This process gives off heat and CO2, both of which are essential to and highly valued in horticulture. 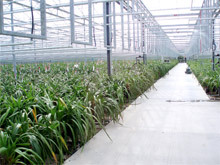 To make full use of this resource, ENECO Energie built a heat and CO2 pipeline network that connected this power plant to the greenhouses of 138 market gardeners in the Bleiswijk district. To control the transfer quantity of heat and CO2, a controller was installed in each greenhouse. After evaluating several vendors, ENECO Energie selected Yokogawa's proposal for replacing the existing heat and CO2 custody transfer system. The STARDOM FCN autonomous controllers were installed on site in the existing cabinets to regulate both the heat (temperature and supply) via a heat exchanger and CO2. All existing field equipment was reconnected to the FCNs and remains in use. Serial ASCII and Modbus RTU protocols are used to communicate with the equipment, and program organization unit (POU) libraries for the Modbus protocols are stored on the FCNs. The data acquisition and control functions are handled by FAST/ TOOLS in a central control room. 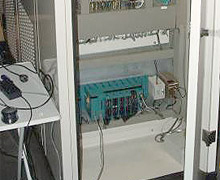 The equipment connected with the GPRS modems needed to be capable of establishing a point-to-point protocol (PPP) connection for dial-up access via a telephone line. The Java function of the STARDOM controllers, which employ a PC architecture, enables the establishment of a PPP connection. When a connection is established, a device communicates with other devices based on an IP address. An IP address is therefore required to identify each device. This could be resolved by using a fixed IP service, but that costs more. To overcome this obstacle, each controller sends the dynamic IP address information assigned by the service provider to the SCADA system, which has a fixed IP address. By employing this mechanism, the individual STARDOM controllers do not need fixed IP addresses and total cost can be kept down. The wireless custody transfer system has to be secure in the event of network failure. The SCADA system continuously acquires all transfer amount data, and this data is also backed up by the controllers. At network failure recovery, the SCADA loads the data that has been backed up by the controllers. Since GPRS communication fees are charged according to the volume of data traffic, constant data polling from the SCADA side is not suitable. To reduce communications fees, the system employs a report by exception communication method in which data is sent from the controller side only when it is changed. Local service personnel can view maintenance information on site by accessing a web site. Maintenance personnel only need to use a web browser – there is no need to install other software for maintenance. 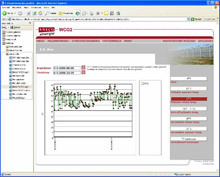 The FAST/TOOLS package that performs data acquisition and control functions from the central control room features a webbased implementation that enables a standard browser to be used as the control system interface. FAST/TOOLS also provides a link to the ENECO web site. The market gardeners can log in to this site to order heat and CO2 online and view a number of important parameters related to the functioning of their own delivery station. If you would like to know the actual job using the above mentioned application, please refer to the ENECO Energie success story. The brick type model FCJ autonomous controller fulfills the basic requirements of the utility control. It also provides the reliability for the SCADA communication with network redundant capability. The low power consumption model of the field control node (FCN) autonomous controller meets the demanding requirements at inhospitable remote locations which lack power.